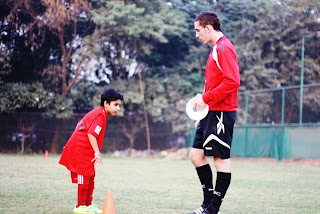 Brewing Knowledge: Award Partner-FootballFirst India's First International Football Festival a huge success! Award Partner-FootballFirst India's First International Football Festival a huge success! 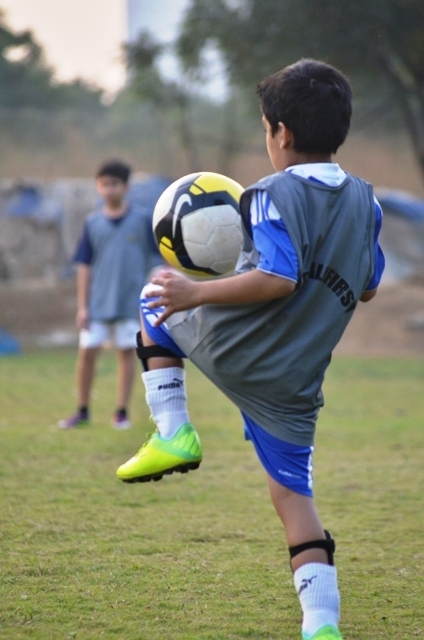 FootballFirst Sports, in collaboration with the Bolton Wanderers Football club of England, organized a football festival, the first of its kind in India. 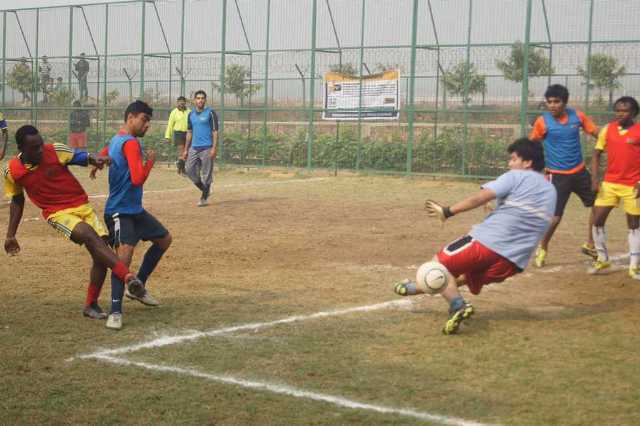 The FootballFirst International Festival took place from 14th-20th November at Vasant Kunj, New Delhi. 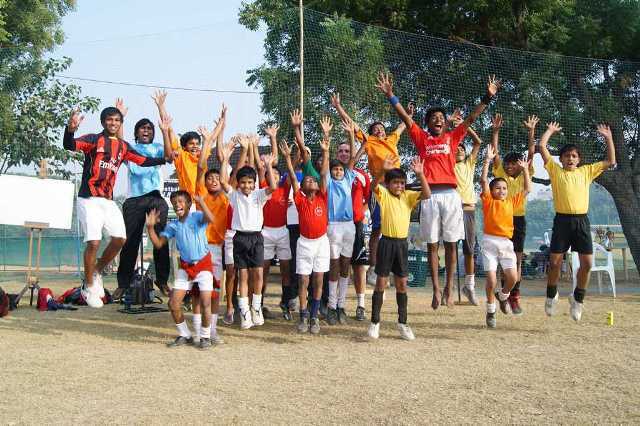 Over a thousand children from more than 100 schools, over a hundred coaches, and 20 school football teams, from across the NCR participated in the week-long festival in which coaches from Bolton Wanderers Football Club ISS, England, conducted various coaching, skill building, and scouting activities. The festival started with a seminar, "The Football Link" initiative that focused on Indian football coaches. Over 35 coaches from Delhi attended and interacted with the coaches from Bolton Wanderers. The aim of this initiative was to grow football awareness in India, as well as to connect football enthusiasts across the country and overseas to maximize the existing football potential in India. In addition to the seminar, the festival hosted morning and evening coaching sessions every day of the week. During the morning sessions the Bolton coaches shared valuable Premier League coaching experience with school football teams and their coaches. The team coaching sessions included Game Strategies, Team Management, and Team Attacking and Defending Principles. During the evening sessions that followed, the Bolton coaches conducted individual skills sessions to help the participating children develop and improve their technical, tactical, physical and psychological football skills. 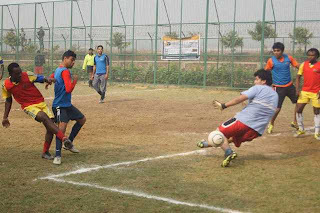 During the course of the festival, the top football talent across Delhi took skill evaluation tests. The Bolton coaches evaluated each player’s football skills based on international scouting techniques, and provided assessment and feedback on ways to build upon strengths and shortcomings. From this select group, 9 senior players and 7 junior players were invited by the English coaches to take part in the Grand Skills Test in England. The Bolton coaches also spent a day scouting players from the Finals of the F3 (FootballFirst Futsal) tournament, the largest cage football tournament in India, with over a hundred teams competing over the course of 4 weeks to reach the finals. The festival ended with a fiesta in which more than 150 children participated in various fun football drills in a carnival-like atmosphere. 30 children from the Salaam Balaak NGO also attended and had an opportunity to interact with the Bolton coaches and take part in the festivities. The Festival was a mega success and the feedback and response from the participating children, parents, coaches and schools was really good. The festival lived up to its spirit of creating a fun and interactive environment in which football coaches, parents and budding football players were able to experience an international perspective on football. Award partner is given equal status in the official ceremony of the organization. All the issues of the award have been solved and removed with the help of the agency at the international level.